skyscrapers 摩天大楼 - ESOL Materials - 英语交流吧论坛 - Powered by Discuz! Taipei 101 towers over Taipei's skyline. An aerial view of Malaysia's landmark 88-storey, 452-metre Petronas Twin Towers and the 421-metre Kuala Lumpur Tower. India Tower is on-hold in Mumbai's Marine Lines, is expected to be 720 m (2,360 ft) tall. This tower will be used for hotel and residential. Construction was started in 2010 and expected to complete by 2016. The Pingan International Finance Centre, under construction in Shenzhen, is expected to be 648 m (2,126 ft). Completion is expected in 2015. The Shanghai Tower, under construction in Shanghai, next to the Shanghai World Financial Center and the Jin Mao Building, is expected to be 632 m (2,073 ft). Completion is expected in 2014. The Jakarta Tower (Menara Jakarta) is on-hold in Jakarta, Indonesia. It is expected to be 558 m (1,831 ft) tall up to the antenna, thus may be tallest concrete tower. It was expected to be completed in 2012, but has been put on hold. One World Trade Center, topped-out in New York City, will become the tallest building in the United States. Also, it will become the world's tallest all-office building and the tallest outside the middle east. Its spire will top out at 1,776 ft (541 m). 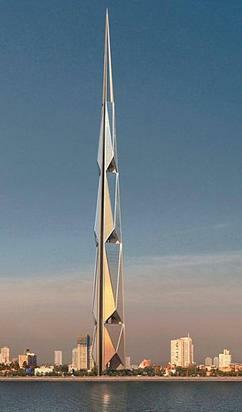 Construction of the Pentominium, in Dubai, is currently on hold. If construction resumes, the building is expected to be 516 m (1,693 ft) tall with 120 floors, which would make it the tallest all-residential building in the world. Construction began in 2007, but was halted in August 2011. Sky City (Chinese: 天空城市; pinyin: tiānkōng chéngshì), or Sky City One, is an 838 m (2,749 ft) tall skyscraper under construction in the city of Changsha, Hunan in south-central China. The prospective builders, Broad Sustainable Building, estimated it would take just 90 days to construct, but this is not counting 120 days of prefabrication before on-site work commences; the total schedule is 210 days. 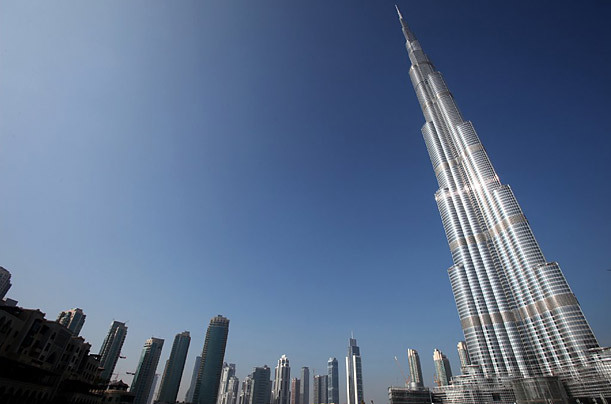 If completed, it could become the tallest building in the world. Broad Sustainable Building had intended to build a 666 m (2,185 ft) tall skyscraper, but the local government wanted the world's tallest building, hence the current plans. The company has constructed 20 buildings in China using the same method and has several franchise partners globally. If built as planned and to schedule, Sky City would likely be the tallest building in the world, with 220 floors and a total height of 838 m (2,749 ft). The construction plan calls for it to be built from pre-fabricated units constructed on site in an unprecedentedly short period of 90 days. BSB's plan is to assemble 95% of the building in its factory before any excavation takes place at the construction site. The fabrication process is due to take around six months before the actual construction begins. According to the plan, the building's 220 stories will have a hotel accommodating 1000 guests, a hospital, 5 schools, and offices. Of the total space available, nearly 83% will be for residential purposes, housing up to 17,000 people. 5% will be for the hotel housing 1000, while 3% each will be dedicated to schools, hospitals, offices and shops. There will be 10 fire escape routes, which will evacuate everybody in a given floor within 15 minutes; the building will be fire-resistant for up to three hours. It will also have 17 helipads. Sport facilities will include 6 basketball courts, 10 tennis courts. Plans include preserving some green space around the building. For transportation there will be 104 high-speed elevators installed. Many have critiqued the safety of these potential elevators because they take several minutes to get from bottom to top. The 5000 residential properties will be able to accommodate 17,400 residents. The proposed building will have total floor space of 1.2 million m2(13 million sq ft). The main building will have 1.05 million m2(11 million sq ft) of this area, with a basement of 130,000 m2 (1,400,000 sq ft) and a 3 to 7 floor-high annex of 35,000 m2 (380,000 sq ft). The total capacity of the building will be about 30,000. The 4-layered glass used for the building's windows will keep the temperature of the building constant between 20 to 27 °C (68 to 81 °F). The air indoors will be specially filtered to be up to 20 times cleaner than the air outside. The lamps used in the building will be made of LEDs, saving energy. It has also been claimed by the builders that they are currently working with architects who worked on the Burj Khalifa. The project will consume 270,000 tons of steel. For its assembly factory, sustainable building technology and independent research and development will be required. The main advantages of the building will be reflected in its earthquake resistance, energy saving, cleanliness, durability, and materials, which consist of recycled building materials, non-aldehyde / non-lead / non-asbestos building materials, etc. The technology at the core of the whole steel structure is modular construction. The building would have 6 inches (15 cm) of insulated walls and quadruple glazing, contributing greatly to energy efficiency. The building will be designed to be resistant to earthquakes of up to 9.0 on the Richter Scale. A cost estimate of $1500 per square meter of floor space would make Sky City considerably cheaper than the similarly tall Burj Khalifa ($4500 per square meter). The total cost is also considerably less, with the Burj requiring about ￡940 million ($1500 million) in 5 years, compared to Sky City's ￡400 million ($625 million) in 90 days. Broad Sustainable Group has purchased 67,300 m2 (724,000 sq ft) of land, for a cost of 390 million yuan ($63 million). On August 6, 2013, the CNN website reported that construction was proceeding.. 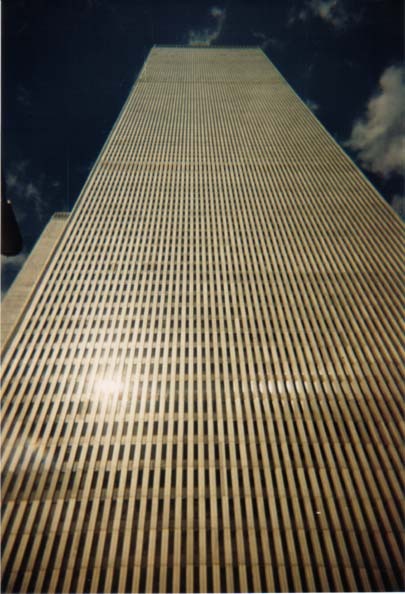 While most architects do not particularly contest the possibility of constructing a supertall tower in such a short time frame and with such costs; doubts have been cast by critics over the ability of the Broad Group to achieve such a grand scale project, especially since they have constructed only two buildings as of date, neither of which are over 30 floors. A tower of such height requires stiffness, which in turn would require enormous amounts of concrete and steel, and a huge amount of time for it to settle. The ability of the architects to understand the complexity involved with a project this size has also come under question. Another factor that seems to have been overlooked in the designs, according to architects,[who?] is the wind factor. A building with such a height and shape will need to deal with large horizontal forces, all the way to the bottom of the tower. Such a wind strategy seems to be absent from the Broad Group's blueprint on the tower. Because of a lack of stiffness, the building would also generate a huge draft and would start to sway due to the wind, making it potentially unstable. Other concerns by critics have related to the tower's ability to deal with emergencies. In case of a fire, there might not be enough support to douse it nor to evacuate people, as fire rescue crews are generally not equipped to reach such heights. Also, for a person needing emergency treatment, like in a heart attack, the elevators might be too slow to transport them to the hospital in the short amount of time available. Finally, the structure may also cause subsidence in the local geology. Saudi billionaire Prince Alwaleed bin Talal speaks near a model of the world's tallest tower during a news conference in Riyadh August 2, 2011. Prince Alwaleed unveiled plans on Tuesday to build the world's tallest tower in the Red Sea port city of Jeddah, signing a 4.6 billion riyal ($1.23 billion) contract with Bin Laden Group. India Tower (previously known as the Park Hyatt Tower; also known as the Dynamix Balwas Tower or DB Tower) is a 126 storey, 718-metre (2,356 ft)supertall skyscraper that began construction in the city of Mumbai, India, in 2010. Construction work was put on hold in 2011. 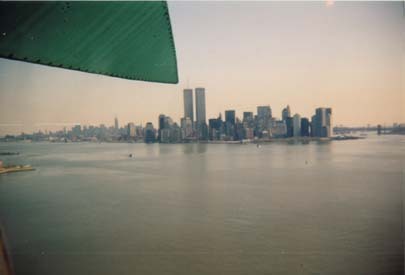 This is a photo of lower Manhattan as seen from, you guessed, the Statue of Liberty. That’s one of the spikes of her headdress. GMT+8, 2019-4-23 06:37 , Processed in 0.154993 second(s), 31 queries .